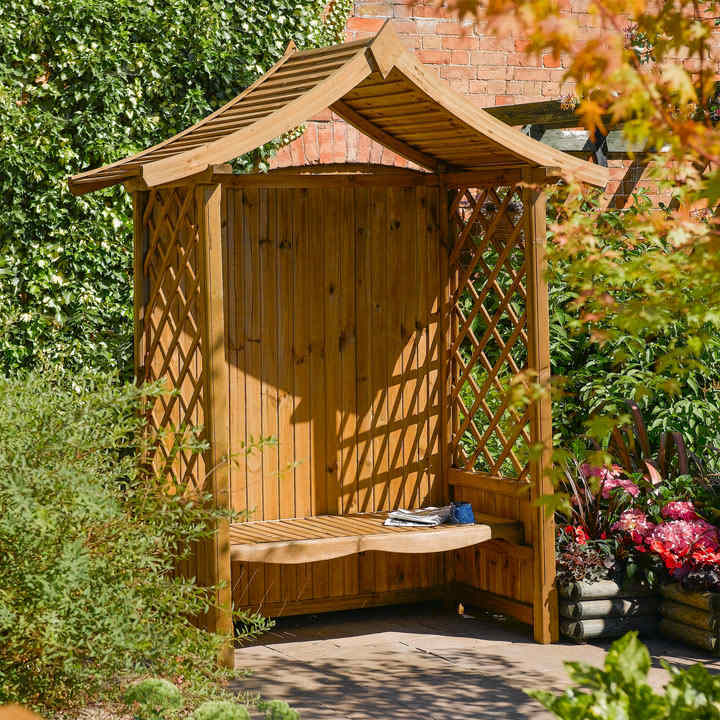 Open lattice sides giving a light airy feel, solid back, natural timber finish, manufactured from quality FSC® softwood, pressure treated to protect against rot, can be painted or stained if desired, easy 2 person assembly, comprehensive instructions and all fittings included. Dimensions: external 2340mm height, 1765mm width, 940mm depth. seat 1230mm width, 510mm depth. 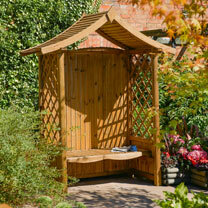 Leave your arbour natural or why not paint it one of our 5 lovely colours. Available to UK Mainland only.